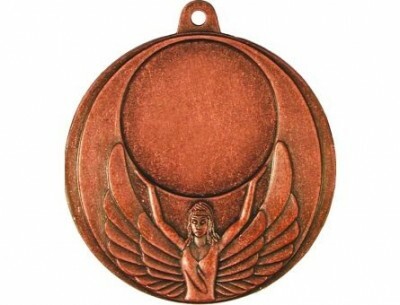 As well as many things and inventions in our life of medal first appeared in Ancient Rome, and so caught the fancy of to humanity, that their popularity does not calm down and for nowadays time, and besides they began to be used in different internals. As talked already, medals appeared yet from time immemorial, and served to it mainly most enormous desires of many rulers, emperors and kings to perpetuate itself in history. This tradition was saved long time enough, but on confluence of time other types of images began to be used. Such as there are medals today, they appeared not immediately, the long period of their revisions and improvements is preceded their becoming. As medals were before used the chinks which did not carry in itself a money role specially produced to the certain event, id est they served for the proprietors in sign of difference among other people. First medals were made from a metal; a preference gave oneself up to the use of copper, bronze, gold and silver. After a while medals appeared from ceramics. 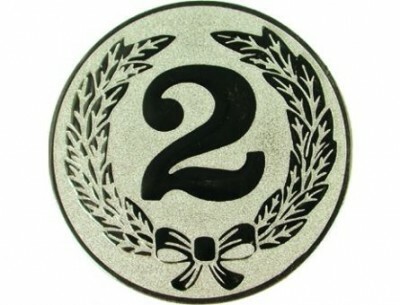 The first medals were produced round form, however were not very much neat and had not even edges. Later for that, what to produce to the medal no spread functions which did their production simpler and quicker were invented. Medals, both in those old times and in our days target at rewarding of winners, however before they were reward exceptionally soldiery for victory in battles. With appearance in 776 to н. э. first Olympic games a situation changed, medals had begun to make yet and for rewarding of winners in sporting games. Exactly appearance of the Olympic games and served a push for that, what medals began to be developed and produced on different designs. As the Olympic games are conducted every four years and here in different countries and cities, then accordingly and medals with every their realization have different registration. About that, how and when, medals happened, and also about appearance of insignia, orders and about their further development such science occupies as phaleristics. By means of this science, namely due to a study that, how medals were produced, the stages of development of the state are fine traced, and except this yet and development of trade of treatment of different materials. Medals are used for today, as well as in former times for rewarding of people after participating in battle actions and achievement in sporting competitions, however it is today possible to notice, as medals use and with other aims. All know already a long ago, that motivation of labor wins back very much and stimulates employees to work with double effort. Every leader chooses independently, as exactly it to do. If to walk up to the decision of this question newly, then employees as encouragement can hand medals, which, undoubtedly, will be to all to liking. Also repeatedly medals began to present as a gift to the anniversaries and other holidays. 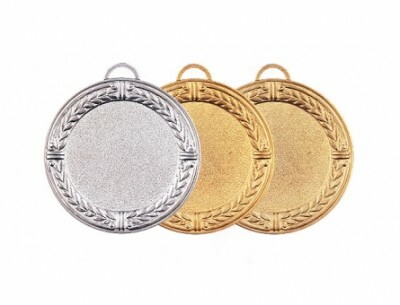 Such medals are designed by beautiful patterns or colors, and also short congratulation is placed in them. Such medals can come forward as adding to the basic gift or, as an independent present. Due to all historical stages through which medals got we get their enormous variety on many parameters. In details we will consider them below. The most important difference is that medals exist standard (of the same type medals the production of which has the millionth drawings), and also medals, made on individual orders, and are original among other. More in detail it is now desirable to consider medals standard exactly. 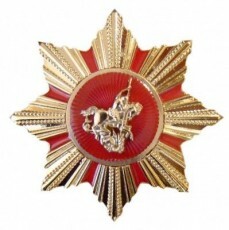 Standard medals are medals of standard pattern, a place (landing nest) is foreseen in which, where necessary information is placed in future. These medals are presented in a large assortment which brushes up annually. To pick up medals everybody easily can pick up to liking and depending on their further use. The special attention is deserved by medals sporting, as a rule, on them a laurel wreath or Olympic fire is represented. Also there are medals sporting thematic, id est they are oriented on the certain type of sport. At the same time medals are given in great numbers and with different patterns, not relating to sport. Lately on such medals demand grew considerably. In order medals carried in itself necessary information, there are a few types of transmitters, by means of which she is placed in a landing nest, and everybody interesting in its own way. The most widespread transmitter is metallic nameplate. Metallic nameplate is produced on technology of Grawerton, this technology allows to inflict on threw images and texts of any color gamut. Very originally a by volume sticker looks as a carrier of data. By volume sticker - it all the known sticker which is covered by the special polymeric resin. This transmitter it is advantageous to use, if it is necessary for an information transfer to use very plenty of the saturated colors. Technology of engraving looks primely - very clearly the thinnest lines come true even. Information is carried on medals so that seems, as though it is their inalienable part. Distinguish medals also on their sizes, generally accepted are diameters in 40, 45, 50 and 70 мм. Already a long ago conventionally, that medals come true gold, silver and bronze cover. Another difference is a type of fastening, which broadened in course of time. The most widespread fastening is ribbons. Today not rarely there are medals on a shoe tree. As used a medal as gifts, then their new variety was formed - medals are a souvenir. These medals are produced without every fastening, as their apartment is foreseen in cases. In case if something eccentric is desirable, then it can place medals on velvet grounds and frame them scopes. Today can a medal take the liberty of to buy any man, as producers produce medals, oriented on different financial possibilities of consumers. Now medals are in free realization, them it is allowed to acquire both in one copy and in an amount more than thousand (in last case it is possible to get a pretty discount yet and).